John Muir was a naturalist, conservationist and kind of a curator all rolled into one: he explored, described, documented, advocated. That work still continues, in museums, in the Sierra Nevada, and on street corners. 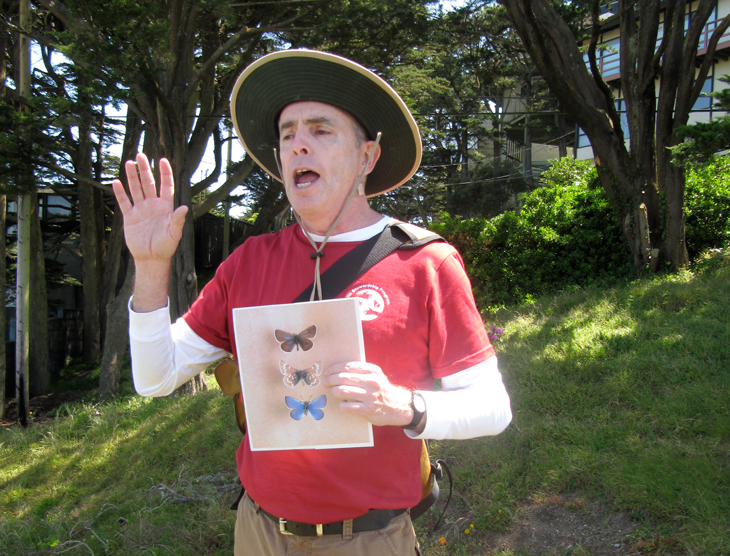 Molly Samuel followed two stories about restoring California's butterflies—one in the Oakland Museum of California, and the other on San Francisco's streets. Listen to the story, below. 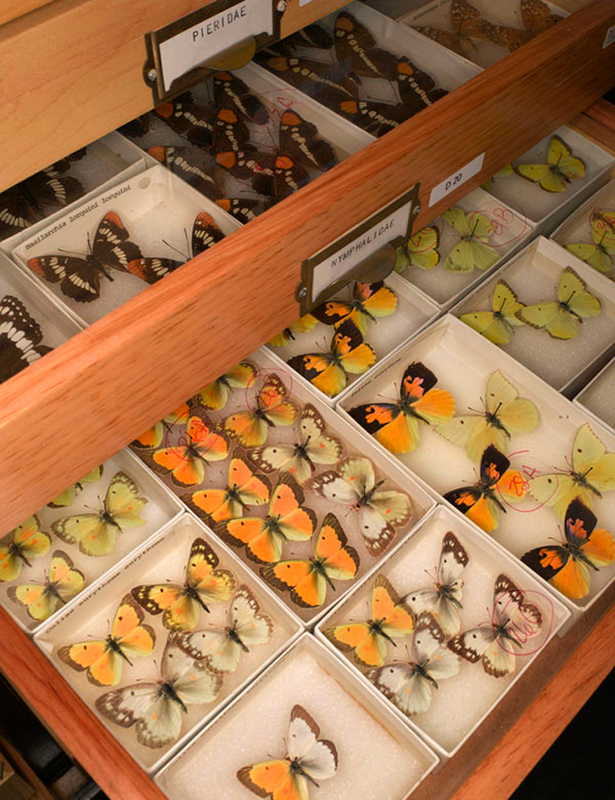 Butterflies in OMCA's collection. Photo by Douglas Long. 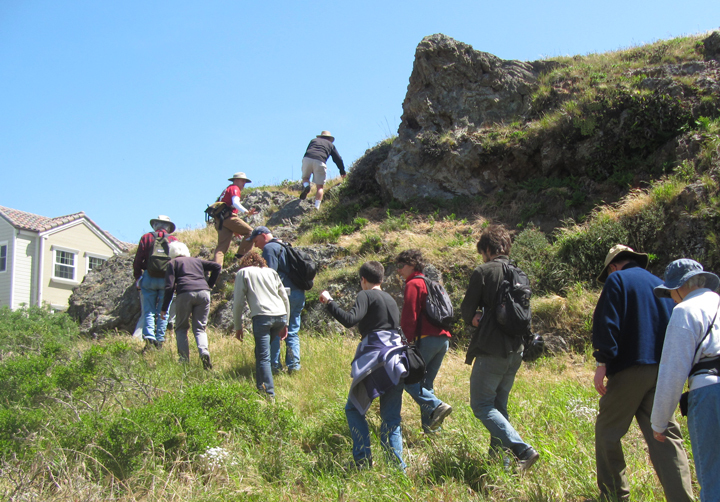 The group clambers up Rocky Outcrop, a small park in San Francisco's Golden Gate Heights neighborhood. Photo by Molly Samuel. 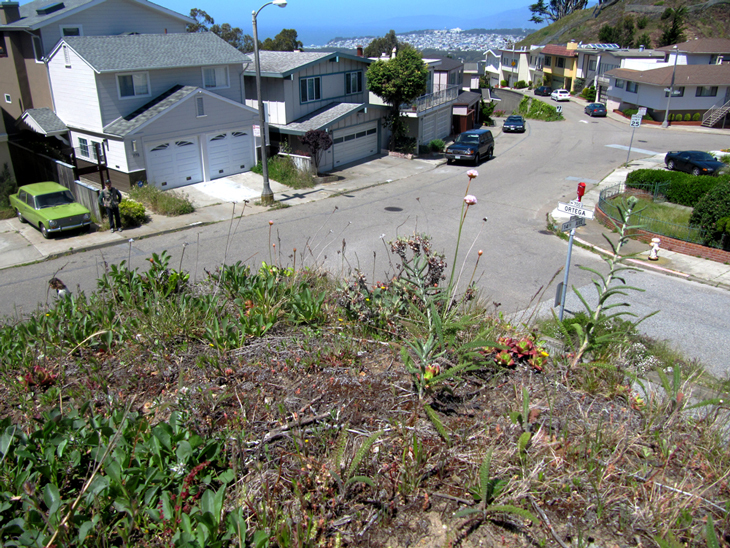 A variety of California native plants, including coast buckwheat, grow in Rocky Outcrop. Photo by Molly Samuel. O'Brien holds up a picture of the Xerces Blue. Photo by Molly Samuel.